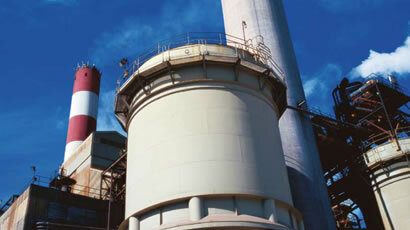 As no other ERIKS understands the importance of reliability and safety in a power plant. ERIKS offers high quality solutions, services and know-how in order to minimize disruptions and maximize safety of this process. Quality, speed and flexibility are key. Gaskets and packings appear to be one of the simplest sealing components. However, the impact of poor quality, incorrect selection or installation is only realised when your installation begins to leak or worse: fails prematurely and results in mounting repair costs. Prevent this and make an investment in knowledge. As Europe’s leading provider of sealing solutions, ERIKS’ unique mix of technical know-how, an all encompassing product range and specialist services help our customers achieve reliable and safe productivity. The ERIKS engineers and product specialists cooperate intensively with maintenance specialists and mechanical engineers in the industry. This gives us profound knowledge of the products and their applications and enables us to help our customers to resolve the technical challenges on site. Our market know–how also allows us to develop new customized solutions and techniques with our key manufacturing partners for improved sealing and therewith creating cost savings for our customers. ERIKS specialists are always on hand to advice the most appropriate material, shape, gasket and flange housing, applying knowledge gathered over many years from a broad range of industries. We want to make sure you have the right gasket or packing warranting the safety of your company and employees. With over one hundred ERIKS technical support staff members involved in the production, support, consultancy and application engineering of flange gaskets and packings we help our customers to significantly reduce the total cost of ownership. Our range of products comprises several gaskets and packings that comply with the emission demands such as TA-Luft and TÜV TRD401 and are fit for use in critical applications in which reliability is of the essence. Examples are bonnet gaskets for high pressure steam valves or thermal insulation materials. Spiral wound gaskets are used in applications with high pressure and temperatures. ERIKS has a broad selection of materials and sizes according to DIN 2630 and ASME B16.20. 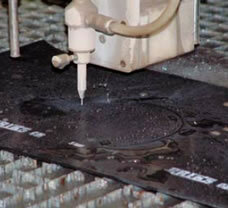 Gaskets with special dimensions can be produced in our own production facilities. Camprofile are often used as heat exchanger gaskets. ERIKS can produce these very quickly in our production location in the Netherlands. The standard dimensions for DIN and ANSI flanges are available from stock. A large number of thermal insultation products are included in the ERIKS scope of supply. Whether it’s a cord, tape, cloth, sheet or a gasket, ERIKS has the solution. This new generation fulfils the latest environmental and health requirements. ERIKS has a variety of high quality graphite sheets and die cut gaskets with outstanding technical properties, such as a resistance against high temperatures. This allows them to be used universally, also in the chemical industry. Due to an outstanding chemical stability, PTFE products are used throughout the chemical industry. A large selection of PTFE gaskets and packings are available including A brands Gore®, Garlock® and our RX® Flowtite. ERIKS offers a variety of compressed fibre gaskets and sheet materials. Flange gaskets with standard dimensions (DIN and ASME) are delivered from stock. Items with special dimensions can be manufactured in our own production facilities. With our RX® HAMAR range we offer solutions for all pump and valve applications in the offshore industry. Eriks offers high quality products with the possibility to supply you with emission sets, pressed rings in the required dimensions or bonnet packings. Various types of flange gaskets are included within our private label selection. We supply RTJs, spiral wound, camprofile, fibre, graphite and a comprehensive family of PTFE flange gaskets from our RX® brand range. ERIKS endorses the importance of a timely delivery and technically competent service. We have an extensive product range with leading brand names in sealing technology and our private label RX® on stock. This combined with our various production locations for soft- and metallic gaskets enable us to deliver your products in a short period of time, 24 hours a day, 7 days per week. Even products with non standard dimensions have short delivery times because they can be manufactured at our own facilities. When it comes to urgent delivery or quick supply we will not let you down. You can also benefit from our experience with large projects such as shut downs. Examples of our service are complete shut down containers, packaging per equipment set, rack jobbing and technical support on site. As a result, the smooth supply of gaskets and packings warrants the continuity of the maintenance and stock expenses are limited. Our rapid delivery options and flexible logistic systems can provide you with considerable savings. Contact us for more information or visit www.easyordersystem.com.